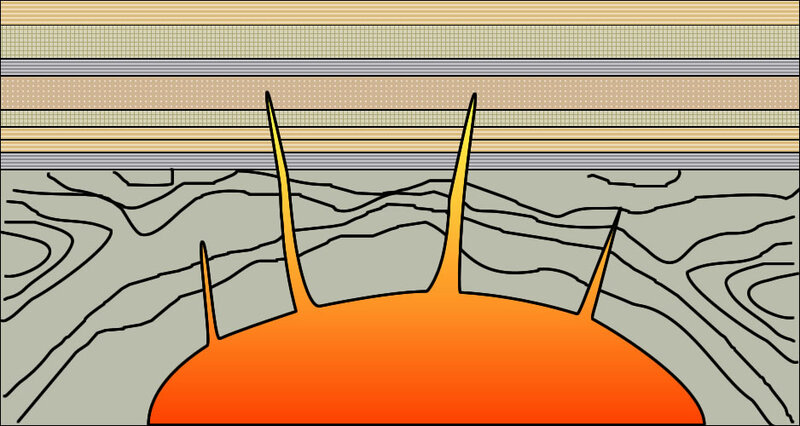 An increase in confining pressure increases the temperature required to melt rock. 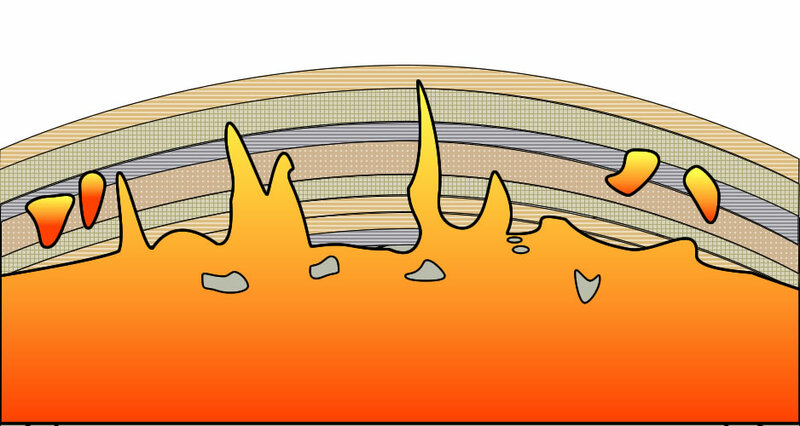 Volatiles - gases found within the magma. Mantle source: Ultramafic and mafic magmas. Crustal source: Mafic, intermediate, & felsic magmas. Removing a partial melt from its source creates a felsic (silica rich) magma with a mafic residue. Silica rich minerals melt first, while the darker, silica poor minerals melt last. This results in a silica-rich magma. As magma rises, it intrudes into the country rock, uplifting the layers above it and squeezing into cracks. 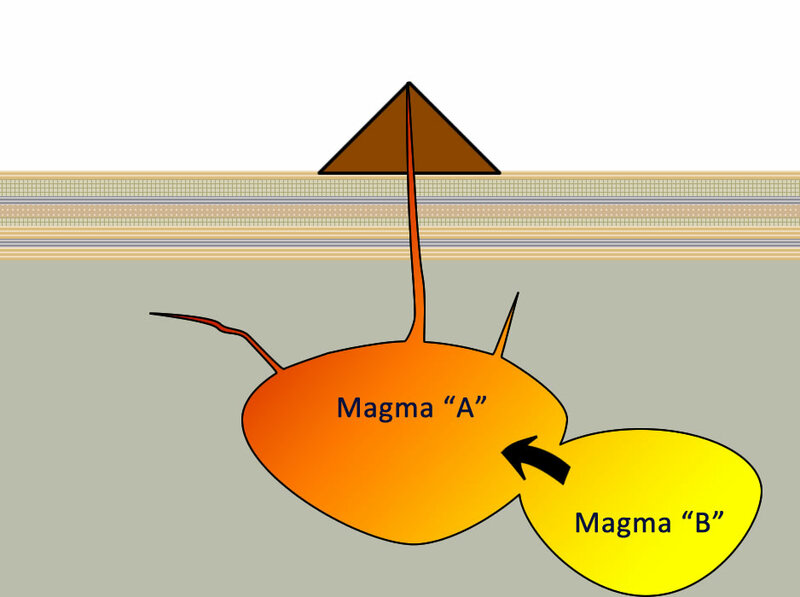 How does magma get to the surface?